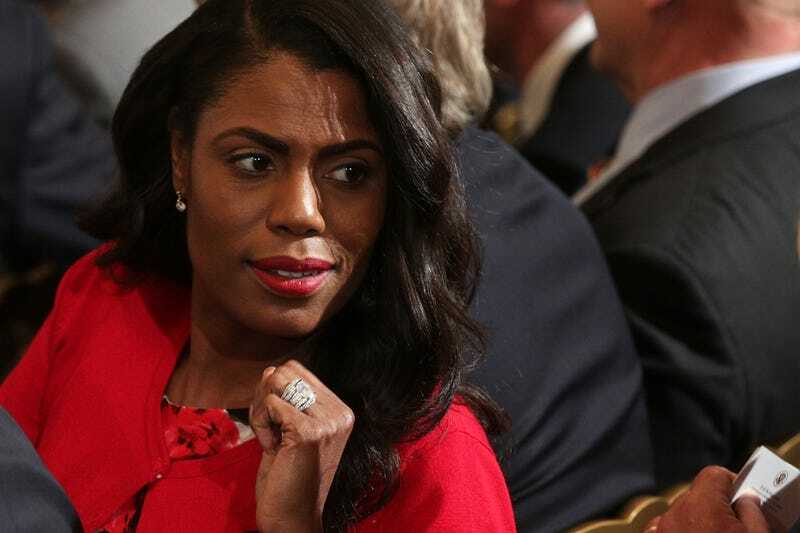 After being ousted from her job as communications director in the Office of Public Liaison at the White House, Omarosa Manigault Newman still wants to stand behind the man who has had the opportunity to fire her not once, not twice, not thrice, but four times in the last 15 years. Omarosa claims in a new interview that Donald Trump is not racist. That emphasis is hers, not mine. But girl, what does that even mean? Like, seriously. Please explain what that means. Roberts challenges Omarosa over a statement the president made after the Charlottesville, Va., white nationalist rally in August that left one counterprotester dead. “But yet the president said there were fine people in that crowd and there were bad folks on either side. Did that concern you?” Roberts asks. She also tells ABC News that there was a “lack of diversity” in the White House that often left her feeling alone. “It has been very, very challenging being the only African-American woman in the senior staff,” she says. Omarosa notes that her departure leaves no black people among the White House senior staff. “I regret that we haven’t reached the level of diversity in this administration that I strove to see,” she says. But you knew that was the case when you took the job, right? The man ran the most hateful campaign ever. Why pretend that he is not a xenophobic, Islamophobic racist after all that he has said and done?